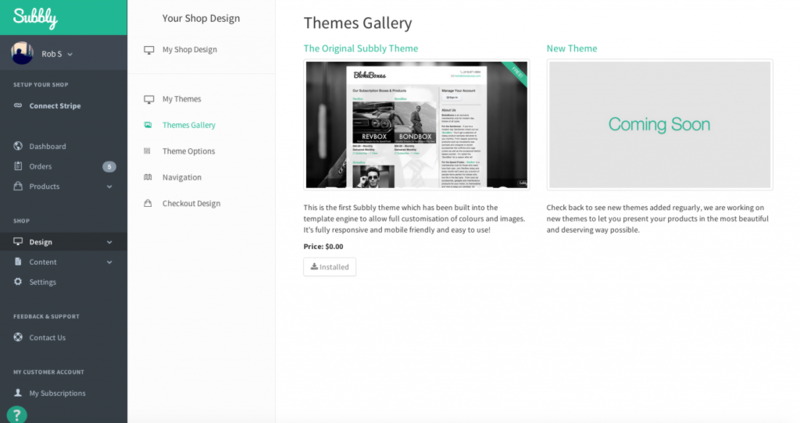 Introducing Themes, Templates and Custom Design – Subbly is Evolving. Greetings from Scotland! Yes, you read that right. I’m currently in a very cold, but very beautiful Scotland, and I am happy to be here to share some exciting news with you today. We launched a basic version of Subbly in July to measure what the response would be, but never could have anticipated the level of interest we have since received. The response has been exceptional and we’ve been overwhelmed by how forthcoming you were with your feedback. We want to take a quick moment to say thank you, sincerely, because without your feedback we would be blind. In other-words, Subbly is not our baby… It’s yours! We’ve listened to our awesome customers and worked our socks off over the last few months to be able to announce some big improvements and features that will allow YOU to grow your own subscription business. This has been, by far, the most requested feature. Previously, you were limited to one design with a set of strict options. Today that changes. For the Non-Techies: We’re rolling out pre-built themes in our Themes Gallery. Over the next few weeks and months we’ll be adding more and more theme designs allowing for non-developers to have a healthy choice and more control over their design from day 1. Take a look at our free subscription website templates. Developers can also create theme options. This will allow non-developers and anyone who doesn’t know how to program to take control of the look and feel of their site. Best of all, it’s live right now and everyone has access to the code editor no matter what plan you’re on. Many of you asked for the ability to be able to allow customers to customize their order / box and also continue to do so after their first order. We loved this idea and so you can now add up to 3 options to any product that doesn’t currently have subscribers. You will be able to edit options up until you have subscribers. You can choose to make them required and even limit the number of choices allowed. The customer will be able to alter their choices any time from their account management area. 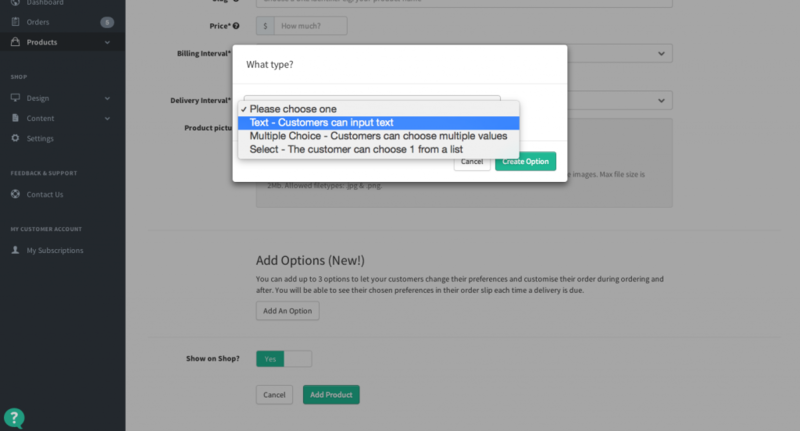 You will also see your customers choices in the order slips generated in the orders section. Go ahead and try it out! Get creative. 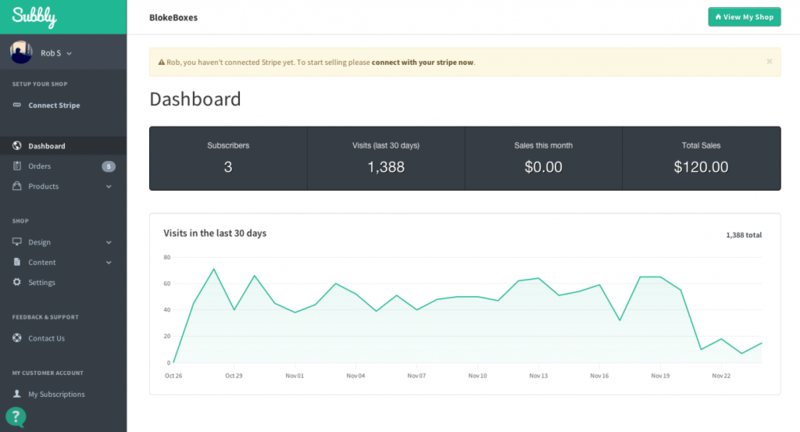 We’ve rolled out the first version of our analytics which you can see on your dashboard. You can not only add your own analytics code to your template but also track your visits, subscribers, and revenues. You can see this data quickly and easily as soon as you login. Expect to see more analytics coming soon. Coming soon: Austria, Italy & Switzerland. We know many of you are waiting for Subbly to launch in your country soon so sit tight, we’re working on it! For now we’re looking forward to seeing more European stores being setup with innovative subscription box ideas. In addition to the new template engine, we’ve also added a CMS. You can now publish blog posts and additional pages (with custom templates allowed too). This means you can have a separate page for your FAQ’s or delivery information. Knowing how important your feedback is, we’ve made it super easy for you to give us your honest feedback on a page by page basis. Actually, we fully encourage it! You simply click a smiley (or otherwise) face that represents how you feel about that specific page. (Thanks to our friends over at Temper.io for this neat little tool!) So please, do click the faces! 7. 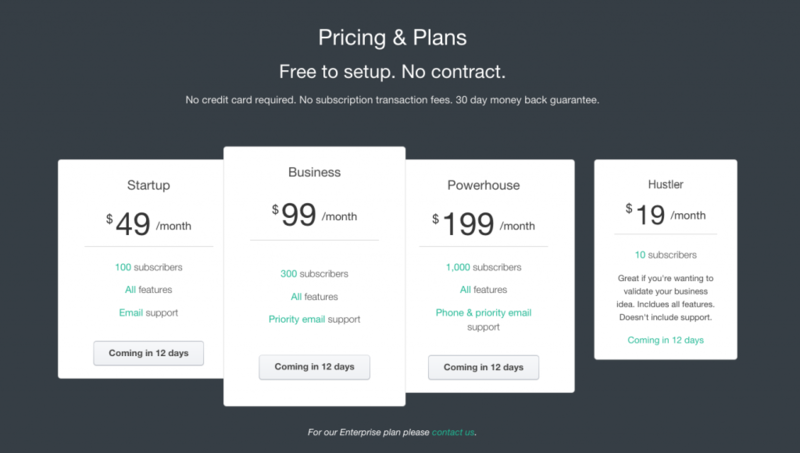 Pricing – No More ‘Transaction’ Fees! Following feedback from our customers, we’ve updated our pricing structure (details of which you can find on our homepage). Our mission is to ‘make subscription simple’ and help our customers grow their businesses. So we decided to remove ‘per subscriber’ & ‘transaction fees’. Yes, you heard that right. From now on we only require a monthly fee, potentially saving you hundreds of dollars! Here’s the good news: As a reward for showing some faith and interest in Subbly early on, we’re also allowing limited signups to our ‘Early Bird’ pricing plan for the next 2 weeks. You can take advantage of this great offer while we roll out the changes necessary to put the new price plans in place. So apply now for a chance to benefit from our Early Bird Beta Price of just $19 per month for the first 12 months! Or contact us for more information. We’ve also made other minor tweaks and improvements to include security updates and more. We’re always looking at ways to improve Subbly for our merchants and their customers so you can expect more updates to be launched in the coming months. I hope you like the changes we’ve made. Please remember, our community is perhaps our best source of information and ideas, so when you ask we’ll listen – We welcome any and all feedback! Have a great day and a very happy holiday.